Micador Chalk - Coloured - box of 100 sticks - Dustless, natural and coated in a protective film, keeping your hands clean- 10 colours- Quality chalk. Micador Chalk - Coloured Box of 10 sticks. 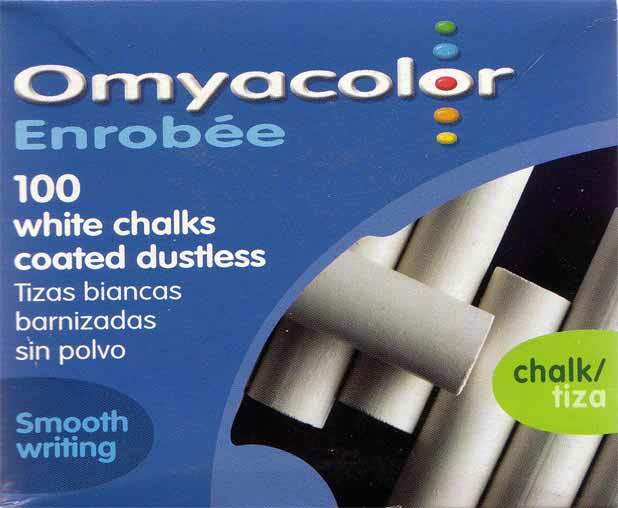 Micador Chalk - White Box of 10 Sticks - An excellent quality dustless chalk at an economy price. Micador Chalk - White - Box of 100 Sticks - Dustless natural and coated in protective film, keeping your hands clean. Daler-Rowney Georgian Oil Colour Buff Titanium 225ml Tube A quality range of paints for the Artist. Produced at a uniform price across all colours in the range, which consists of 54 colours - Trusted by artists worldwide. Daler Rowney Georgian Oil Selection Set of 10 tubes x 38ml each - The superb quality of Daler Rowney Georgian oil paints in a selection by a panel of professional artists. 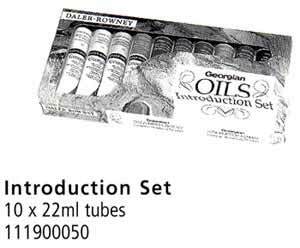 Daler Rowney Georgian Oil Mixing Set of 5 tubes of 75ml each - Superb quality Georgian oils in a set to give the maximum mixing possibilities. 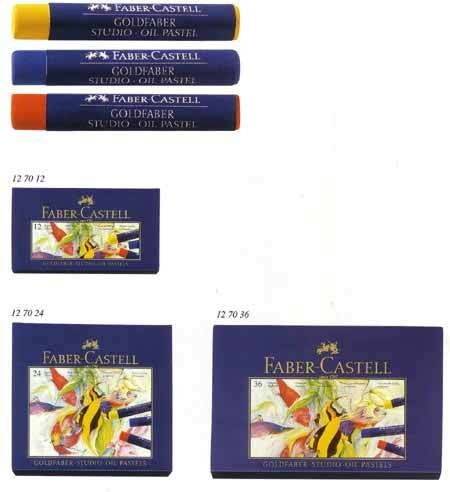 Faber Studio Oil Pastels Box 12 Intense colours for encaustic techniques- pastel techniques- sgraffito techniques- Can be solved with white spirit or thinners. Faber Studio Oil Pastels Box 24 Intense colours for encaustic techniques- Pastel techniques- Sgraffito techniques- Can be solved with white spirit or thinners.